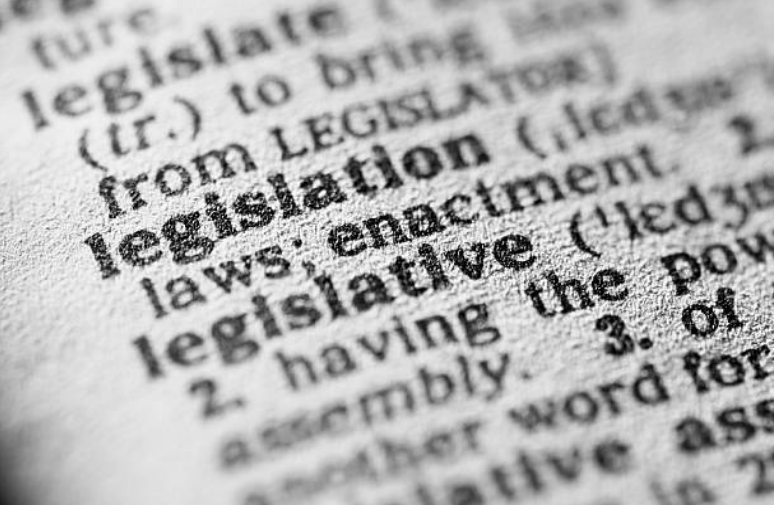 Welcome to the first edition of our update on legislative developments in employment law. The update is intended to keep employers abreast of the latest developments in this rapidly changing area of law. We summarise new acts, statutory instruments, and bills in the area of employment law. We will also track the progress of key draft legislation as it passes through the Oireachtas. In this edition we look at legislative developments in October 2017. These include the much anticipated Mediation Act 2017, as well as a new order – the first of its kind – setting terms and conditions in the construction sector. We also consider a number of measures to be introduced by the Finance Bill 2017, including the introduction of a new relief for share options granted to employees in small to medium enterprises and changes to the tax treatment of employer-provided loans. We look forward to hearing any comments or questions you may have in relation to the contents of this update. Mediation Act 2017 - Legislative framework for mediation signed into law. National Minimum Wage Order 2017 - National minimum hourly rate has been set at €9.55 from 1st January 2018. Sectoral Employment Order (Construction Sector) 2017 - New terms and conditions for workers in the construction sector. Irish Human Rights and Equality Commission (Gender Pay Gap Information) Bill 2017 - Government to bring forward amendments to bill on gender pay gap reporting. Finance Bill 2017 - Changes to tax treatment of share options and employer-provided loans. Maternity Protection (Local Government Members) Bill 2017 - Bill to facilitate local government members in taking maternity leave. Reappointment of rights commissioners - Rights commissioners reappointed from 1 October 2017 to 30 September 2018. The Mediation Act 2017 was signed into law on 2 October 2017, but it has not yet come into force. While the Act excludes disputes that are being investigated or mediated before the Workplace Relations Commission from its scope, it will apply to other claims arising from the workplace, such as claims for personal injuries or breach of contract. The term ‘mediation’ is defined in the Act as a confidential, facilitative and voluntary process in which the parties to a dispute, with the assistance of a mediator, attempt to reach a mutually acceptable agreement to resolve that dispute. The Act is intended to facilitate the settlement of disputes by mediation, setting out the principles applicable to mediation and specifying arrangements for mediation as an alternative to the institution or continuation of civil proceedings. The Act provides for the recognition of a Mediation Council of Ireland, and for the introduction of codes of practice to which mediators may subscribe. The Act provides that, before the commencement of mediation, the parties and the proposed mediator must sign an agreement to mediate setting out certain information including the manner in which mediation is to be conducted, how the costs of mediation will be paid, and the right of the parties to seek legal advice. The Act requires mediators to make reasonable enquiries to determine whether or not they may have a conflict of interest, and to give details of their qualifications and experience to the parties. The Act provides that the Minister for Justice and Equality must publish a code of practice to set standards of conduct for mediations, when the relevant provisions come into force. The Act provides that all communications, records and notes relating to a mediation will be confidential and must not be disclosed in any court proceedings. A court may invite the parties to the proceedings to consider mediation, whether of its own motion, or on application of a party to the proceedings. The court may, in awarding the costs of the proceedings, have regard to any unreasonable refusal or failure by a party to consider mediation following such an invitation. If the parties decide to engage in mediation, the proceedings may be adjourned, and the court may order that timelines for compliance with the rules of the court or any order made in the proceedings be extended. Where the parties seek to re-enter the proceedings following an invitation to mediate made by the court, the mediator is required to submit a written report to the court setting out whether or not mediation took place, and whether a settlement has been reached by the parties on any of the matters in dispute. Any limitation period for the purpose of the Statute of Limitations is paused for a period beginning on the day on which an agreement to mediate is signed, and ending 30 days after a mediation settlement is signed, or the mediation is terminated. The Act places obligations on solicitors and certain barristers, prior to issuing proceedings on behalf of a client, to advise their client to consider mediation as a means of attempting to resolve the dispute, and to provide the client with information in relation to mediation services and the benefits and advantages of mediation. When a solicitor initiates proceedings on behalf of a client, the originating document (usually a summons) must be accompanied by a statutory declaration made by the solicitor evidencing that he or she has complied with his or her obligations in that regard. This obligation does not however apply to certain family law proceedings. This order sets the national minimum hourly rate of pay at €9.55, with effect from 1 January 2018. The rate was set following on from recommendations made by the Low Pay Commission. The national minimum hourly rate may include allowances of €0.85 per hour for board, and either €22.56 per week or €3.24 per day for lodgings. A new sectoral employment order has been introduced for the construction sector. This is the first such order introduced under the Industrial Relations (Amendment) Act 2015 (2015 Act). A sectoral employment order applies to every worker and employer in the relevant economic sector. Where a contract of employment in the sector provides for rates of remuneration or conditions in relation to pension schemes or sick pay schemes that are less favourable than those provided for in the order, the relevant provisions of the order are substituted for the provisions of the contract. The new sectoral employment order has been introduced on foot of recommendations made by the Labour Court following a request made by the Construction Industry Federation. In examining the request, the Labour Court invited written submissions and held a hearing at which oral submissions were made by the Irish Congress of Trade Unions, UNITE, and the Trustees of the Construction Workers Pension Scheme. The introduction of a basic minimum rate of pay of €17.04 per hour to apply to all general operatives who have worked in the sector for more than one year. Higher hourly rates of pay for skilled general operatives (€18.36) and craft workers (€18.93). A basic hourly rate of pay for apprentices (ranging from 33.3% of the craft worker rate in year 1 to 90% of the craft worker rate in year 4) and for general operatives who are new entrants (€13.77 per hour). The introduction of a sector wide pension scheme no less favourable than the provisions of the existing Construction Workers Pensions Scheme. The introduction of a sector wide sick pay scheme no less favourable than the existing Construction Industry Sick Pay scheme. The Labour Court declined to recommend the inclusion of a travel allowance in the sectoral employment order. This does not however affect existing contractual arrangements in this regard. As required by the legislation, the recommendation also sets out a dispute resolution procedure, involving the referral of individual and collective complaints to the Workplace Relations Commission, and thereafter to the Labour Court. Significantly, the recommendation provides that no form of industrial action is permitted in the construction sector until the dispute resolution procedure has been complied with. The Government has confirmed that it will be bringing forward amendments to a bill providing for gender pay gap reporting, the Irish Human Rights and Equality Commission (Gender Pay Gap Information) Bill 2017. This private members’ bill was introduced by Labour in the Seanad. At a debate in the Seanad on 25 October 2017 David Stanton TD, Minister for State in the Department of Justice and Equality, stated that the Government would be examining the bill with a view to bringing forward amendments. The Minister stated that in the first instance submissions made as part of the consultation on measures to tackle the gender pay gap will be considered at a symposium planned for 4 December 2017, and that the bill will not be pursued further until the Government brings forward proposals following this consultation process. A lead-in time would be needed both for the making and administration of a scheme and for employers to gear up to produce the information specified. I take the opportunity to ask all companies, both public and private, to start focusing on this matter now. It is important that all companies, both public and private, do so if they have not already started. Under Labour’s proposals, the requirement to publish gender pay gap information would not apply to employers with fewer than 50 employees. An employer who contravenes these provisions would be liable to a fine of €5,000. The information to be published by an employer would include differences between the mean hourly rate of pay, the median hourly rate of pay, mean bonus pay, and median bonus pay paid to male and female employees. In addition, employers subject to the scheme would be required to report on the proportions of male and female employees who were paid bonus pay, and the proportions of male and female employees in the lower, lower middle, upper middle and upper quartile pay bands. The above information would be required to be broken down by reference to age and full-time or part-time status. The Finance Bill 2017 was presented in the Dáil on 17 October 2017 and it is expected to become law by late December. The Bill introduces a number of measures of interest to employees and employers, as outlined below. As signalled in the Budget announcement, provision is to be made for the introduction of a new relief, the Key Employee Engagement Programme, for qualifying share options granted to employees of certain small to medium enterprises. This programme will be available for share options granted to employees of qualifying unquoted companies from 1 January 2018 to 31 December 2023. To qualify for relief, the share option must be granted at no less than market value. The share option must be held for at least one year, and the share option must be exercised within ten years of the grant to avail of the relief. Gains realised on the exercise of a share option by employees of qualifying small to medium enterprises will be exempt from income tax, PRSI and USC, but will be subject to capital gains tax on any subsequent disposal. The Bill introduces measures to prevent tax avoidance in respect of employer-provided loans. The proposals seek to ensure that a taxable benefit arises in any year where an employee pays interest on an employer-provided loan at a rate less than the specified rate, and includes within its scope loans provided by an employer to an employee's spouse or civil partner. The difference between the amount of interest paid by the employee and the amount that would have been payable if interest had been charged at the specified rate will be taxable as a benefit in kind (BIK). Changes are to be introduced from 1 January 2019 arising from the ongoing reform of the PAYE system, which will result in new processes for employers. In particular, employers will be required to update and report on the pay and deductions of their employees to Revenue on an ongoing basis. The intention behind the introduction of real time reporting by employers is to ensure that automatic reconciliations of an employee's tax position can be carried through the year so that employees will receive their full benefits during that year. Further measures, to come into force from 1 January 2018, provide for changes to the basis on which PAYE taxpayers will be liable to pay income tax, from an earnings basis to a receipts basis. The Finance Bill provides for benefit-in-kind exemptions for the provision of electric cars and vans to employees or directors, and for expenses incurred by an employer in providing facilities on their business premises for the electric charging of vehicles of employees or directors. Where an employee of a health or dental insurer receives a health or dental insurance policy in the course of his or her employment, any discount received on the policy will be treated as a taxable emolument for the employee. This will also apply to free or discounted policies paid to family members of such an employee. This private members' bill, introduced in the Dáil by Fianna Fáil, is intended to amend the Local Government Act 2001. The 2001 Act provides that a person will be deemed to have resigned from his or her membership of a local authority where the person is absent from authority meetings for a continuous period of six months. The proposed amendment would provide that this rule will not apply where a member is on maternity leave. Notification of the reappointment of a number of rights commissioners has been published in the Iris Oifigiúil, the official gazette of the Irish state. Notwithstanding the reforms introduced by the Workplace Relations Act 2015, rights commissioners continue to hear complaints referred under certain enactments before the commencement of Part 4 of the Workplace Relations Act 2015. The Industrial Relations Act 1990 provides that the term of office of a rights commissioner must not exceed three years, but that he or she may be reappointed for a further term or terms by the Minister for Business, Enterprise and Innovation. Under the Workplace Relations Act 2015, any person who had been appointed a rights commissioner was automatically appointed as an adjudication officer. The content of this publication does not constitute legal or other professional advice and is not intended to be relied upon as such.